Canon’s Pro Solutions Show will be returning to the Business Design Centre in Islington, London on 25 and 26 October 2011. Aimed at video, broadcast and still imaging professionals, visitors will experience Canon’s complete workflow solution from image capture to output. Entrance to the show will be free for all those who pre-register online. Canon Australia has just launched a website dedicated to professional photography. "The Canon EOS Professional site will be a revelation to amateur and enthusiast photographers as well as a great resource for working professionals", said Cathy Hattersley, Brand Manager - EOS Professional, Canon Australia. "The content features the work, tips and gear used by the best in the business, so its both inspiring and informative a window directly into the world of the working professional." This new dedicated professional site follows enhancements to the Canon Professional Services program, which has been supporting professional photographers in Australia for more than a decade. The enhancements include a range of enhanced member benefits for working professionals who use Canon EOS 1-series and 5-series cameras as well as opportunities to grow their businesses. Canon has been awarded the Best Photography Brand 2011 by Which? The Which? Awards were launched in 2007 to reward the very best businesses in the UK and publicly recognise those companies that consistently get it right for consumers. Peter Vicary-Smith, Chief Executive of Which? said "As the cost of living increases, people want to know that they are spending their money wisely. The winners of this years Which? Awards not only offer outstanding products or services, but they have also demonstrated great innovation and customer care. Congratulations to Canon." Over the last year Canon has won 22 Which? Best Buy awards across the EOS, LEGRIA, IXUS, PowerShot and PIXMA range and during voting Which? members scored Canon highly in both customer satisfaction and reliability. New generic top-level domains (GTLD) are now possible, following approval of a plan at the Internet Corporation for Assigned Names and Numbers (ICANN). This might not mean much to you, but you will be familiar with top-level domains (TLD) .com, .net and .org. These help to bring order to the internet. It will not be cheap. There is a set-up fee of $185,00, plus an annual fee of $25,000 to establish a GTLD - not to mention all the legal costs of establishing the right to use a domain name. Who would have the right to the .eos domain, for example - Canon or Volkswagen? The first GTLDs could be in use by the end of 2012. Canon has begun construction of a new plant in central Taiwan to meet increasing demand for EOS cameras. The new plant is in the Taichung Export Processing Zone and will employ 3000 workers. Production is due to start next year. It is believed that the combined investment in this new plant, along with a second plant in the Chiayi Dapumei Intelligent Industrial Park in southern Taiwan (which begins construction in August) will exceed US$1.05 billion. Canon has made Taiwan a hub for the optics industry. Firmware Version 1.1.1 for the EOS 500D incorporates the following fixes. 1. Fixes incorrect indications in the Arabic and Portuguese menu screens. 2. Fixes incorrect indications in the Simplified Chinese, Traditional Chinese, Arabic, Swedish, Spanish, Portuguese, Thai and Turkish menu screens. Experience Seminars has joined forces with Canon in a promotion of the EOS 1100D, 600D and 60D cameras. If you purchase any of these models before October 2011 you can receive a free Experience Seminars DVD and a substantial money-off voucher, which can be redeemed against any Experience Seminars training course until 31 October 2012. Get a £50 seminar voucher with an EOS 1100D, a £100 seminar voucher with the EOS 600D, and a £150 voucher with the EOS 60D. 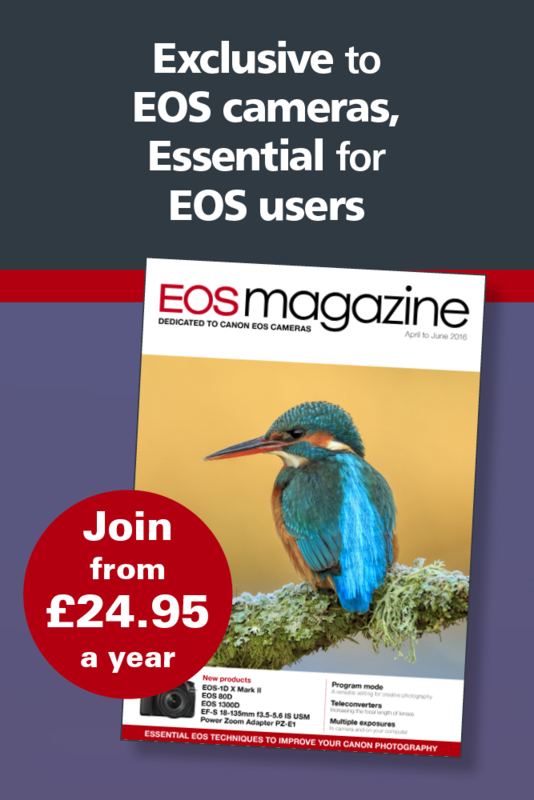 The free DVDs include ‘Getting started with your digital EOS’, plus guides to landscape, travel and wildlife . The promotion is running in-store in all Canon retailers throughout the UK. Canon has updated one of its zoom lenses. The new EF-S 55-250mm f/4-5.6 IS II is compact and affordable, suitable for subjects from portraits and landscapes to wildlife and sports. The EF-S 55-250mm f/4-5.6 IS II will be available separately and also as part of a double lens kit, bundled alongside the recently-announced EF-S 18-55mm f/3.5-5.6 IS II with EOS 550D, EOS 600D and EOS 60D bodies, providing beginners with an impressive start to their photography system, all in one box. The EF-S 55-250mm f/4-5.6 IS II will be available from July 2011, priced at £329.99/€369.99 (RRP incl. VAT).